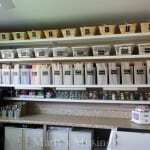 The post Behr Deckover Product Review was sponsored by Behr Paint but we have loved and used Behr products for years! Last summer my DIY hubby restored our 20+ year old back deck with an amazing product from Behr Paint. Since then I’ve received more questions about that post than any other. The most frequently asked question was how does the Behr Premium DeckOver® hold up? If you go back to that original post you will discover some great information from the comments as well. 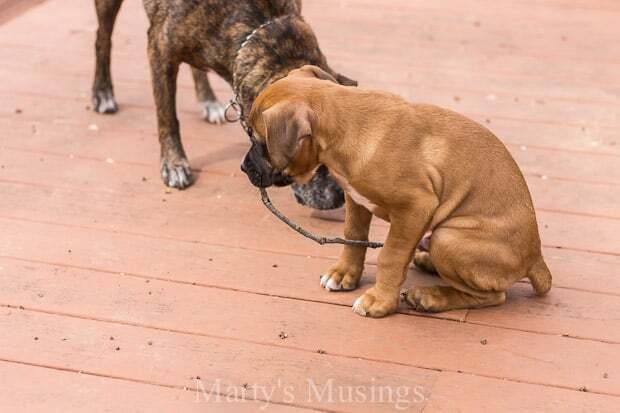 But first…..a cute puppy alert! I think every post should begin with either a cute puppy or an adorable baby, don’t you? The world would be a happier place! 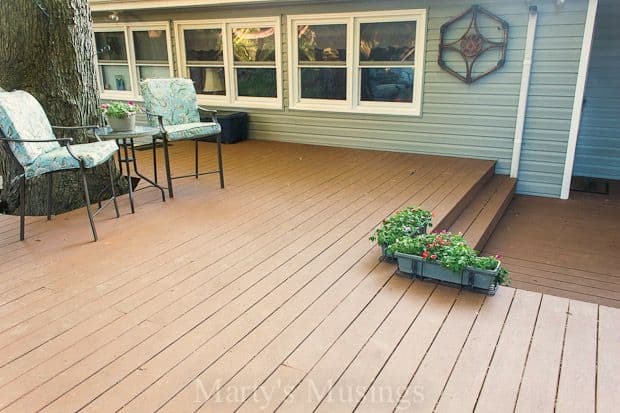 You can see the deck is dirty from last year but otherwise in good shape. Here’s my handy hubby to answer all your questions! Tim: One of the biggest concerns when undertaking a deck project and protecting a hefty investment is the durability of any product that is designed and used to protect it. 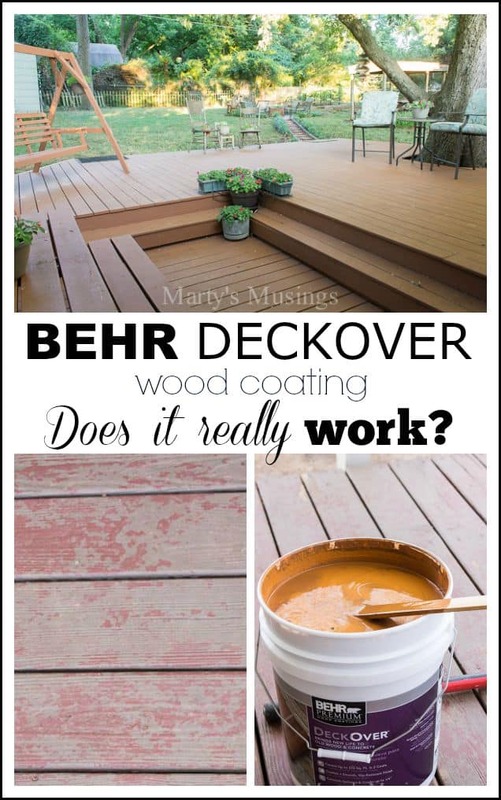 I want to offer first hand experience on Behr’s DeckOver product that has been on our rear deck for exactly a year, specifically how it has held up through a season cycle. To fully appreciate this product and how well it has performed, it might be a good idea to go back to our original post on preparing and applying the product. It cannot be overstated how critical a fastidious approach is to the success of the DeckOver product. Any deviation can cause failure, but let me also offer the disclaimer that, while this restoration product worked beautifully for me, it may not do the same for you. There are plenty of negative reviews on the internet that are easy to find. However, 12 months down the road I have no regrets with how DeckOver performed! There are a number of factors that will affect longevity of any deck product, and the fact that this is a restoration product makes those factors come into play even more. Let’s talk about a few of those in this Behr DeckOver product review and how it performed in those specific areas. We have had crazy dog traffic all over this deck through every season. 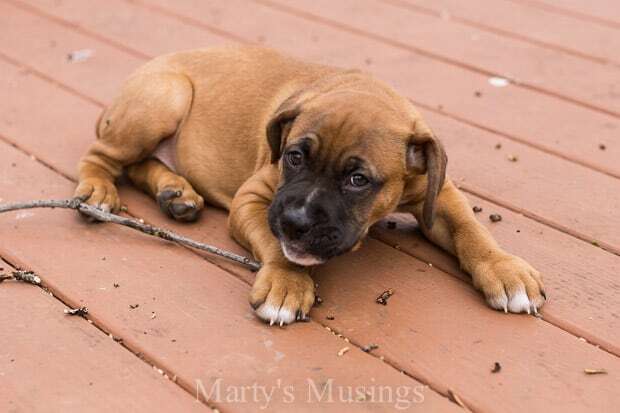 Our new boxer pup drags everything and anything up onto the deck to shred it to pieces. There is almost always some kind of debris and even icky doggie presents at times, but everything blows or washes right away. I have pressure washed, without chemical, once and not one chip released from the surface. 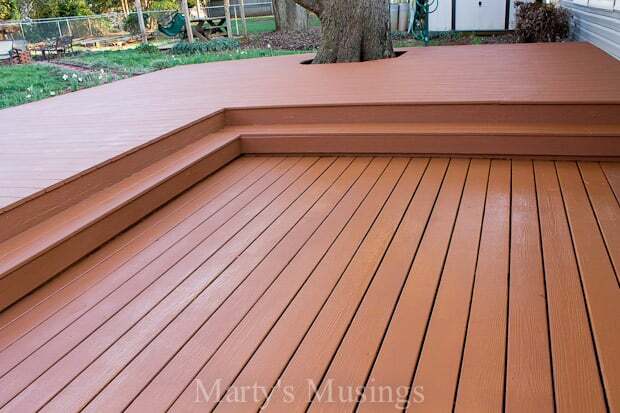 All types of deck furniture seem to be fine on this product, too; metal, wood, plastic, heavy, light. Anything I’ve thrown at it has been fine. 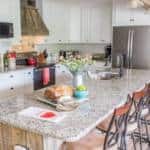 We are located in central North Carolina and have a gentle to moderate turn of four seasons, with highs in the Summers in the upper 90’s to lows in the Winters below freezing with snow every now and then. Lots of pollen in the Springs and tons of leaves in the Falls. While it is far from harsh, it is a big enough swing to make the claim that this product performs well in a variety of conditions. Remembering that two light coats are better than globbing a first coat on and flying through a light second coat just to be done, adhesion has not been an issue…with one small exception that is not the fault of the product. The huge silver maple that the deck is built around will drop branches in a good storm, some very large ones. One such branch came down, ripped the gutter off the house and actually punched a hole in the deck board! I have yet to repair the gutter and I noticed that the constant repeated waterfall where the rain pours over has caused the DeckOver to release right at that spot. This may be the biggest variable that is most difficult to address, and new wood can be almost as big a problem as wood aged 20 years or more. Old school thinking, that I still adhere to, is that new wood should age six months before ANY product is applied. So applying any earlier can cause problems. Conversely, there does come a point in the life of a deck that the only prudent action is to simply replace it, or at least the deck boards. Outside of your own judgment, the manufacturer’s suggestion is no cracks more than ¼”. I found that to be true, and anything that was more damaged than that was filled with caulk (see original post) or replaced. 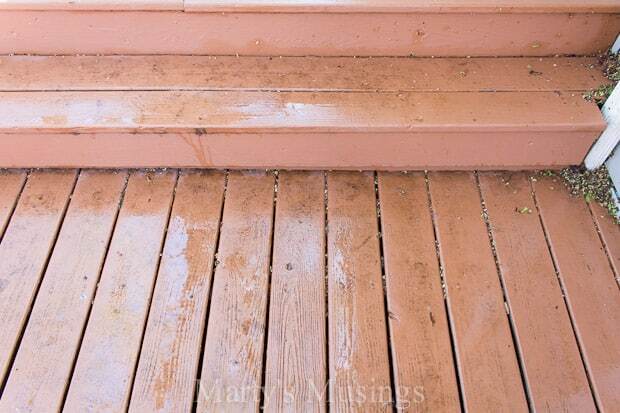 You really have two choices to clean your deck once any product is applied. One path is with an emphasis on chemical and the other is sheer force with a pressure washer. I really like the Jomax cleaner to remove mildew and algae. Ideally you don’t want anything with bleach that may alter the color. If you just pressure wash, back off the nozzle setting from the yellow 20° tip to something a bit less concentrated. Play with your distance from the surface and you should get good, safe results. You can also use some chemical and brush the surface if you don’t have a huge surface to do. 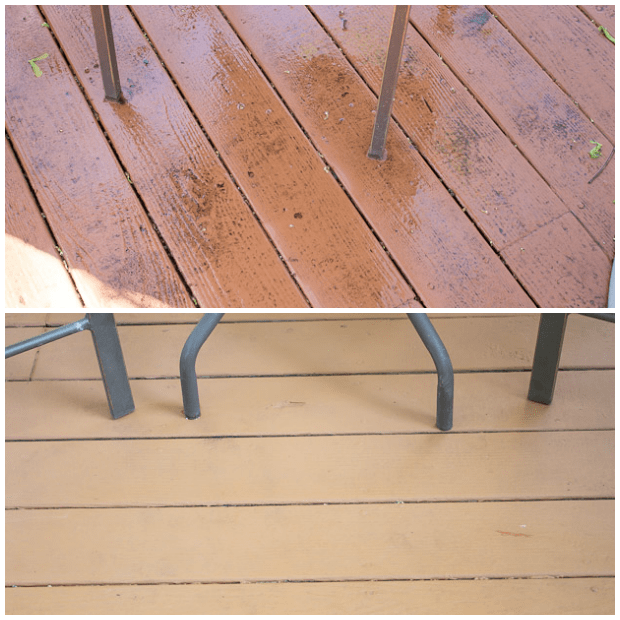 I chose to just pressure wash and got great results that brought the deck to “like new” condition. Well, I can already here the chief saying that this is W-A-Y too long, so feel free to post your question if I have failed to address a concern. 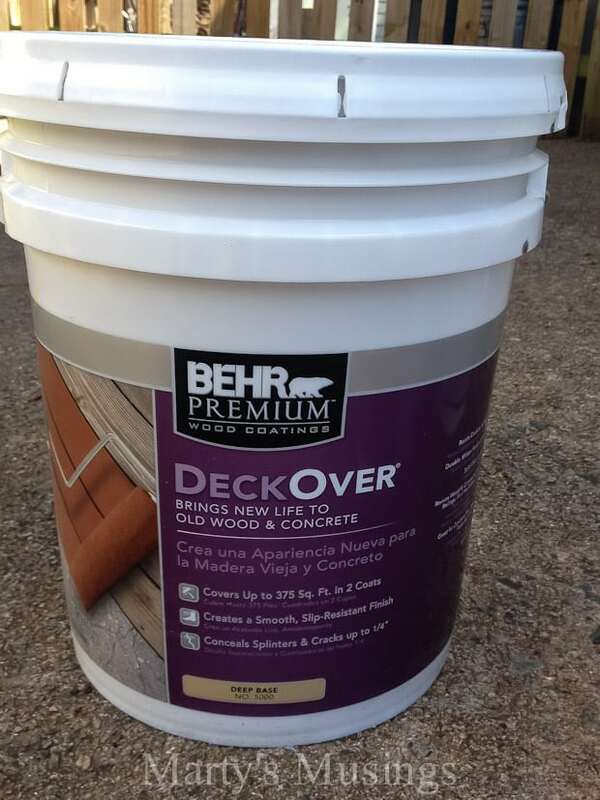 I want to close by saying that I just noticed Behr has come out with a DeckOver Textured product that looks like it doubles the “footprint” left on the surface, that is, a heavier texture. For those with more substantial wear this might be an option. Good luck! ***The Deckover color we used was Woodbridge. 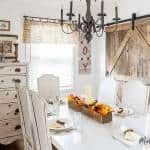 Marty: I’m excited to announce that I will again be joining the rest of our team of Behr DIY experts as well as a few additional awesome bloggers to share the latest and greatest from Behr for 2015/2016. 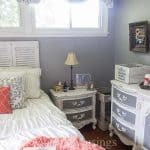 Check out the first round of posts at the Colorfully Behr blog. 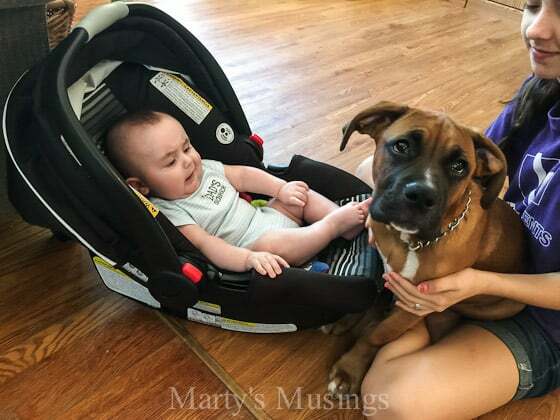 Now to end with my adorable grandson and cute but not so little puppy! Have you tried the Behr DeckOver product? I’m so glad you posted this. I’m not sure if you’ve seen it, but a pin that I shared of this project last year has dozens of comments (and still more coming) about how it holds up. It’s also a hugely popular pin, so I guess it’s on peoples’ minds. Love that it’s still holding up well after a year! It looks great. 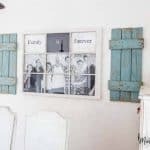 Thanks for sharing your advice and review of this paint on Snickerdoodle Sunday. 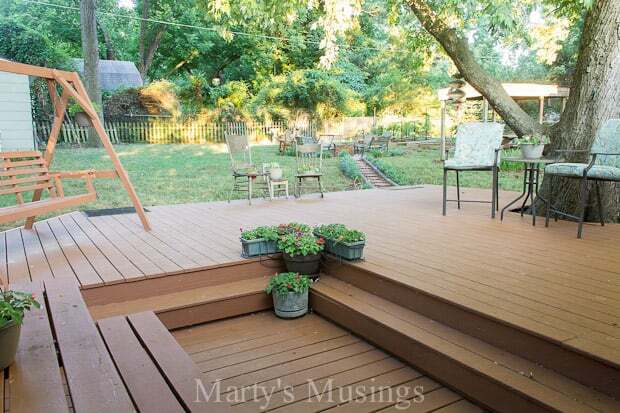 I’ve got a deck makeover on my to do list, so it’s great to find first hand information. Hi, Lena. I’m glad you had a good result with the Behr product. I think if you put the work in prepping and application then you will be pleased with the final product. Thanks for commenting! Hi, I just used this product. Finished our deck project about a week ago. We had a party for my daughter yesterday and the kids tracked mud all over it!! It seems to have stained it!! I have used a sponge and dawn and got down and scrubbed it…it won’t come off!! Any help would be great!! So far I can say it covered the deck wonderfully…but we are very disappointed at how t seems to grab dirt and not let go of it! I hope you can help. ? Hi, Kris. Here’s my husband’s response: Since we applied DeckOver to our decks, Behr has added two more products that each increase in texture. With restoration mediums, the more texture the more “grab”. Not sure what you used, but if the texture is heavy, you may need a gentle pressure wash to get into the surface. You don’t want to be too aggressive, nor do you want to use any cleaner with bleach. Please feel free to write again with more info, or talk to the folks at Home Depot. Hi, Jacquie. Here’s what my husband suggests: Good question. 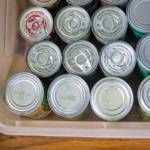 Preparation is always the key to a successful paint project, whether inside or out. It will be critical that you remove anything that wants to come off, either pressure washing, chemical strip, sanding or scraping. You want to remove everything that is loose until it bumps into everything that is not loose. You can lightly apply the DeckOver to spots here and there, feathering out past the edges, or just apply a light first coat over the entire surface. The build up will hide most of the imperfections, especially with the second coat. Down the road, I was told by the Behr folks that another coat could be applied. As for what you covering, it really doesn’t matter. These restoration products are designed with elastomeric enhancements designed to cover anything. I have a couple of questions: what is the color you used in the picture above that is the light tan? in the Behr folder, it states that after pressure washing, you have to clean the deck before painting but I noticed that you stated that you could pressure wash only (which is also what the guy at Home Depot said). My last question is this – the Behr folder said “covers p to 75 sq. feet in 2 coats” but doesn’t mention how much paint that is. That could make a huge difference! Hi, Molly. Here’s my hubby’s response: I almost always use a combination of chemicals and pressure when preparing a deck to receive any product. Less chemical means more pressure and can make the deck more porous by opening up the grain. That can mean more product. More chemical can produce a less effective result, as well as being much more harsh around vegetation. That’s why I prefer a mix of the two. As for coverage, I found that the DeckOver went a bit farther than the instructions state. And you are quite right! Under estimating can make a huge difference for the price you pay. I can tell you that two coats was fine, and I’m pretty confident that would be the case for any color over any color. So, I would suggest estimating high but under-buy. We had a huge area to cover and received a total of 15 gallons but also did a swing-set picnic, table, etc and still had some left. I would just ask for help at Home Depot if you have any questions. Hope this helps! How often does this product need to be reapplied for maintenance? Hi, Stacey. It’s hard to tell because much would depend on the climate you live in. In our situation we have fairly mild winters and summers (we’re in NC). 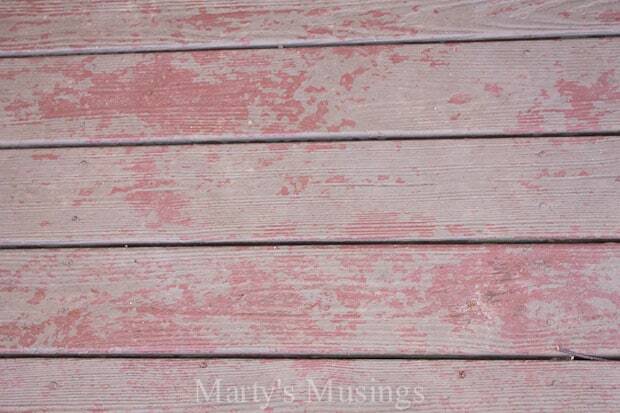 You can always touch up as needed in between a full application but my husband said possibly 4-5 years depending on the harshness of the wear and tear on the deck.